For the first time ever, there is a rover driving around on the far side of the moon. China’s Chang’e 4 lander made the first landing on the side of the moon that never faces Earth early 3 January. Now the rover that it carried with it, called Yutu-2, has rolled out onto the lunar surface. 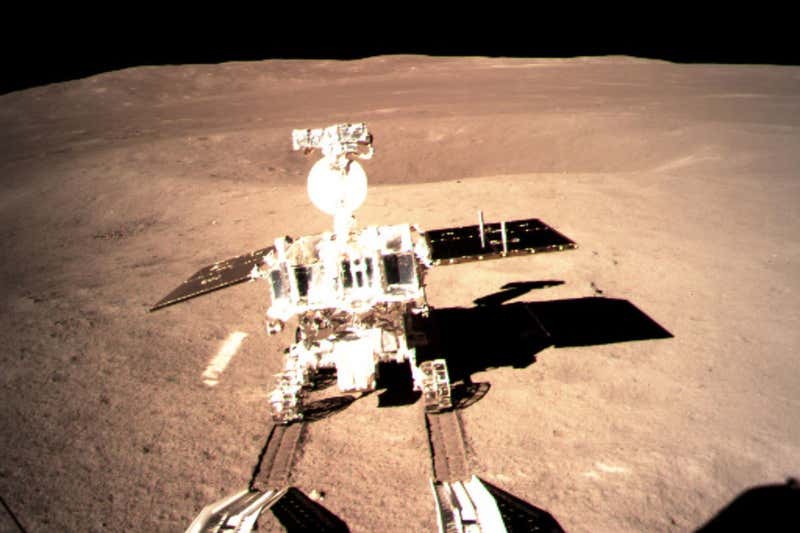 This picture of Yutu-2 was taken from the lander as the rover was released. Yutu-2 follows on from the success of the Yutu rover, which was part of the Chang’e 3 mission. Its scientific instruments include a panoramic camera, ground-penetrating radar, and instruments to identify the chemical makeup of the lunar surface. The rover is exploring an area called the South Pole-Aitken basin, which many lunar scientists believe is an impact crater from a huge collision early in the moon’s history. That impact may have unearthed rocks from deeper inside the moon, so Yutu-2 could help us learn about the moon’s past and its deep composition.